When does a hotel become a legend? Since 1913, the Hôtel Plaza Athénée in Paris has been astonishing its pampered guests by treating them with dignity and grace. 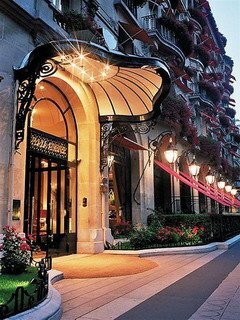 Our affection and admiration for this grand old Paris hotel are undimmed. 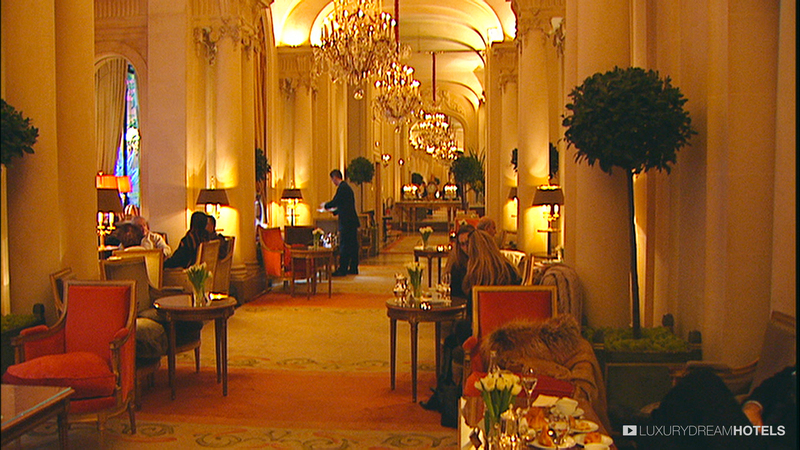 The Plaza Athénée is still tops in our book—superbly run, with an air of quiet sophistication that is hard to achieve. The Plaza Athénée is located on the prestigious Avenue Montaigne, the home of Parisian Haute Couture in the heart of the triangle d’or area, just a few steps away from the River Seine. Rooms are vast, suites fit for a president, king or queen and the service is heavenly. The majority of the hotel is classically French, except for the seventh and eighth floor that are superbly done in Art Deco. 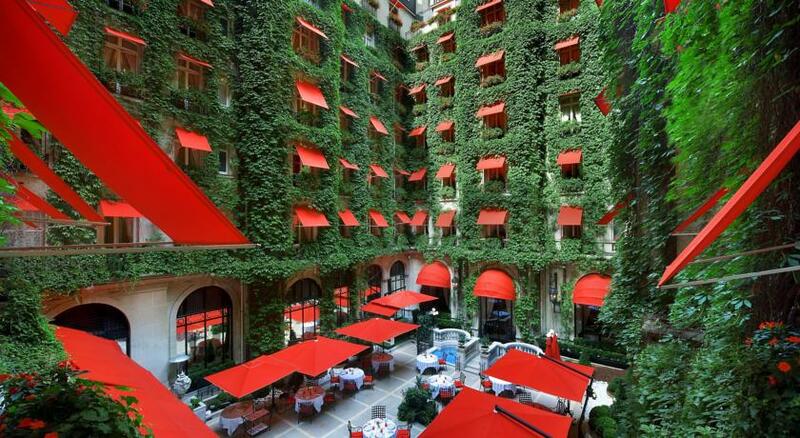 The Hotel Plaza Athénée flies red canvas awnings over every window and displays window boxes with red geraniums. A little history: from 1998 to 2000, the hotel was meticulously renovated under the management of one of the world’s great hoteliers, François Delahaye. 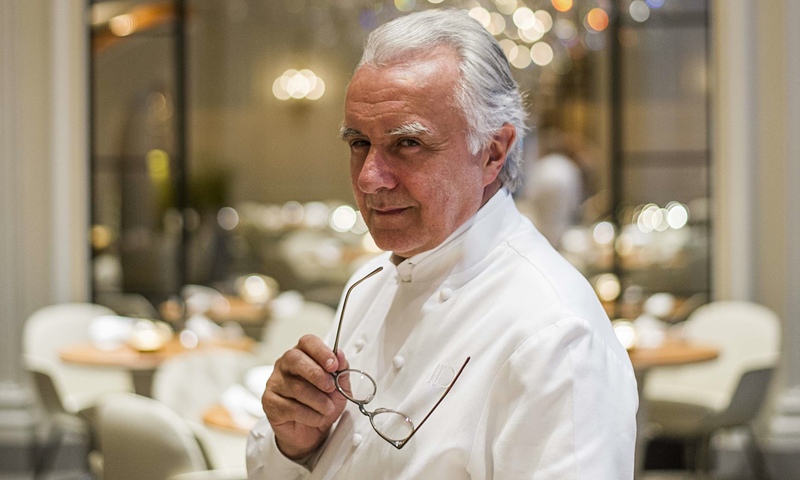 He chose Alain Ducasse to supervise the hotel’s catering services and create a menu for the hotel’s new restaurant, Alain Ducasse. Ducasse obtained three Michelin stars at his Plaza Athénée restaurant in 2001 and in 2016 was again awarded the coveted trois eotiles. Additionally, Delahaye appointed super star pastry chef Christophe Michalak at La Galerie des Gobelins and the talented Philippe Marc as chef of Le Relais Plaza. 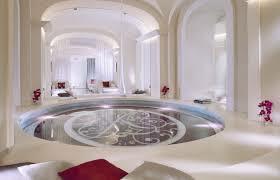 In 2001, the Dorchester Collection acquired the Hotel Plaza Athénée on behalf of the Brunei Investment Agency. The Brunei Investment Agency purchased the hotel buildings purchased the hotel’s buildings in 2003. In 2003 the noted interior decorators Bettina Mortemard and Marie-José Pommereau were commissioned to update 194 rooms and suites. In 2008, the Dior Institut was opened at the hotel. 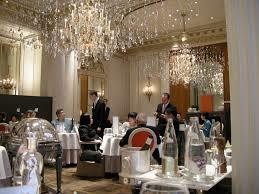 In 2012, the Hotel Plaza Athénée was awarded the palace distinction, the highest achievement of luxury in France. In August 2014, the hotel re-opened after a 200 million euro expansion and renovation. The renovation integrated additional buildings, created six new guest rooms, eight suites, a ballroom and two event spaces. Today the rooms shimmer and glow like a Duc’s private residence with superb marbles, great columns, and priceless carpets. The staff takes great pains to buff and clean the priceless details daily and we have never seen a hotel as dedicated to continuous upgrading as this one. Once out of your room (hard to leave as some have romantic views of the Eiffel Tower), there’s a lot to do without stepping outside: sipping a glass of Champagne overlooking the inner courtyard has to be one of life’s great experiences. The bar du Plaza has been lavishly redesigned and with mixologist Thierry Hernandez at the helm you can expect exceptional cocktails here. Monsieur Ducasse, world-renowned multiple Michelin-starred chef, still oversees all the hotel kitchens. In his Alain Ducasse au Plaza Athénée restaurant guests can experience new culinary concepts amidst a stunning ceiling of crystal. In contrast, the listed Art Deco Le Relais Plaza is a chic and ever-popular Parisian brasserie, which hosts popular jazz nights. To indulge in total serenity, Europe’s only Dior Institute is another hotel highlight, offering exclusive spa treatments in a stylish setting including a specialist manicure and pedicure area. The Hôtel Plaza Athénée is a hotel of enormous presence, a favorite of the world’s elite, and still under the careful direction of M. Delahaye promises to remain the standard by which all great hotels are judged. 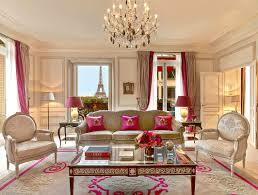 Visit http://www.dorchestercollection.com/en/paris/hotel-plaza-athenee and be prepared to be wowed. The beautiful Alain Ducasse au Plaza Athénée restaurant has been awarded three Michelin stars for its naturalness cuisine, inspired by the trilogy of fish-vegetables-cereals trilogy. Alain Ducasse commented on this great accolade as recognition of French cuisine moving forward. Talk about stars, the prestigious Forbes Travel Guide has just awarded Hôtel Plaza Athénée their exceptional Five-Star Rating. This is the highest award, given only to hotels they regard as the best of the best, regularly going above and beyond expectations.